Over the spring days of May 31 (Friday) and June 1, 2, and 3 (Monday), volunteers will be participating in the third year of statewide biodiversity survey events. In collaboration with other area organizations, the Athol Bird and Nature Club will coordinate surveys in 21 towns within this region. Each town will have a Town Organizer, a school engaged in a Friday and/or Monday schoolyard survey(s), and at least two expeditions open to the public that are led by local leaders and naturalists. The twenty-one towns of our region are Ashburnham, Athol, Erving, Gardner, Hardwick, Hubbardston, Leverett, Montague, New Salem, Northfield, Orange, Pelham, Petersham, Phillipston, Royalston, Shutesbury, Templeton, Warwick, Wendell, Westminster and Winchendon. These surveys provide an opportunity for us to learn about, enjoy, and document the special resources we have within the region. Our programming will include “Family and Community Biodiversity Surveys” in several towns on other weekends throughout the year (Winter, Summer, and Fall 2002). We encourage connections between formal and informal organizations that will support children and parents, as well as seniors and others without children, in these community events. Each town may pilot very different programs that invite veteran and new participants to explore their Town’s biodiversity. We hope that you will volunteer to assist in planning events and will be part of a survey team this year in your town. Teams usually go out for either a morning or an afternoon, and last year volunteers focused either on one property or on a type of organism (for example, birds, butterflies, or mushrooms along Tully Trail in Royalston). In addition to public walks, some volunteers may conduct detailed surveys of special habitats that may need protection. You may have a special site you want to survey or particular organisms you want to study. We welcome your suggestions of sites for these intensive surveys. Fields and Farms of Phillipston with David Caldwell. Meet at King Phillips Restaurant parking lot to carpool to various sites in Phillipston. Bring field guides and binoculars. Dress for the weather. A Naturalist’s Hike in Shutesbury. Shutesbury resident Erik Hoffner will lead a bird walk in the forest east of Lake Wyola in Shutesbury. Bring binoculars and meet at the junction of Laurel Drive and Wendell Road. of the John Adams Homestead in Ashburnham. Meet walk leaders Amy Hinshaw and Sue Cloutier at 287 Russell Hill Road to see nesting bluebirds, an orchard, pools, fields, and woodland. Fri. 9:30 am – 2:30 pm. Meet Nick Wisniewski in front of the post office, a small red wooden building at Wendell Depot, off of 2A. Bring lunch, water, rain gear, (bug spray) and wear comfortable hiking shoes. Meet at project office at Barre Falls Dam for a walk with park ranger Delia Vogel to explore the biodiversity of the Dam. Discover Royalston’s Butterflies and Dragonflies. Meet expert Carl Kamp of the Mass Butterfly Club at RoyalstonTown Hall. Bring binoculars and field guides. Join Conservation Biologist Amy Hinshaw to explore a wooded lot. Call Amy at 978-544-5622 for meeting place. Dress for weather, insects, and thorns. Westminster Pond life with Leola Leger. Bring nets and a magnifying glass. If you want to go in the pond, wear appropriate footwear (rubber boots, waders). Meet at Meetinghouse School, 8 South Rd. across from police and fire department. Exploring New Boston Road in Shutesbury. Join Ron and Sue Cloutier and others to explore the biodiversity of this protected stream valley in Shutesbury. Meet at the New Salem General Store on Rt. 202. Exploring Branch Bridge in New Salem. Join Ron and Sue Cloutier be prepared for insects that enrich the diversity of life at this biodiversity hot spot! Meet at New Salem side of causeway on Branch Bridge Rd. Birds and Plants of Royalston. Meet walk leader and expert naturalist Jacob Morris-Siegel at the Royalston Town Hall for this special opportunity to explore Royalston and assist in documenting the Town’s biodiversity. Explore Three Pipes in Badwinville/Templeton. Join John Henshaw of Stonybridge Foundation on the Otter River and floodplain exploration of biodiversity. Meet off Rt. 68 in Baldwinville on the south side of the Otter River. Have clothing and footgear suited for exploring wetlands and woods near the river. We welcome more paddlers on the river to expand our search area. Wetlands Biodiversity in Shutesbury and Leverett. 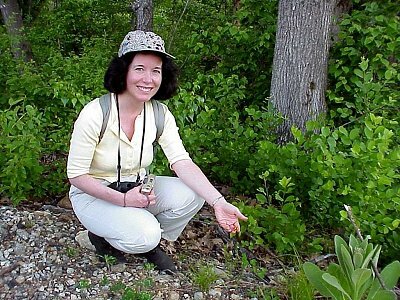 UMASS plant ecologist Julie Richburg invites you to explore the diversity of the wetlands of Montague Road with her. Meet at the trailhead on the west side of Montague Road, 2.5 miles north of Leverett Road in Shutesbury (or 1.6 miles south of North Leverett Road). Nature Journaling in Northfield with Annie Chappell. Join us to walk a wetland trail, make drawings in our journals, and note species. Bring pencil & sharpener, eraser, a small container for shavings, a couple of black ink pens, and a notebook or journal. Also bring water, a hat, long sleeves and pants, and something dry to sit on! Meet at 9 am in Northfield at the Trinitarian Church on Main St (lower lot) across from the Greenfield Co-op bank. The church is on the out skirts of town, beyond the post office, not at the town center. Birds of Erving with Bob Coyle. Meet at the Box Car Restaurant to tour for birds and wildflowers. Key birding spots will be visited and wildflowers and other organisms noted at each stop. Butterflies of North Common Meadow in Petersham. Insect and bird expert Rich Lent will lead this exploration of the Trustees of Reservations historic meadow and pond just north of Petersham’s scenic town common. We will observe butterflies and dragonflies, plus birds and signs of wildlife associated with a edge habitat. Meet at the entrance to the meadow, next to a small building marked “Brooks Law Office,” on Route 32 just north of Petersham center The center of Petersham is 5 1/2 miles south of Route 2 Exit 17 and just north of the junction of Routes 32 and 122. Explore a Vernal Pool and Fields in Orange. Explore the vernal pool and field with Alex MacLeod, a wetlands expert, and return to the library in time for an identification session and to explore library resources that relate to our discoveries! Meet at the Moore Leland Library in North Orange. Join Jeff Phillips of the Corp on a naturalists walk through this protected natural area. Meet at the Little League field off Rt. 68 on Royalston Road opposite Bill’s Used Cars. Meet Anne Marie Kittredge, forestry and wildlife specialist, at Seeds of Solidarity. Open to adults and children 10 and up. From Route 2: Take Exit 14 (West River Street, Lake Mattawa). Turn South off exit onto Holtshire Road. Follow this road approximately 1.5 miles to the first intersection where see Lake Mattawa. Turn right before the lake onto Chestnut Hill Road. Proceed uphill 1/2 mile to the €T.€ Turn left – still on Chestnut Hill Rd. In about 1/2 mile the road forks, bear right. You will see the sign for Seeds of Solidarity and its small farmstand on the left. Wendell pond life with Don Stone. Meet at intersection of Jennison/New Salem Rd. for a canoe/kayak trip open to all. Bring shoes to get wet. The group will be going out on the pond in canoes or kayaks to explore the pond life and see how beaver dams have shaped the habitat. Meet with Bruce Scherer and Yin-Long Qiu at 309 Gidney Road off Chestnut Hill Road in Grasshopper Valley. Trip open to 15 participants, adults with children 10 and up. To reserve, contact: cloutier@tiac.net. Hardwick Beaver Ponds and Woodlands. Explore biodiversity with Dale Monette. Meet at Hardwick Common at 11 a. m. to carpool to Gate 43. Explore 2 acres of lakefront property with Leola Leger at 16 Lake Shore Drive. Leola will be assisted by Carol-Ann Fitzgerald and Denise Noseworthy. Explore the Floodplain Forest of Northfield. John Foster, founder of the New England Naturalist Training Center will lead a flood plain forest hike along the Connecticut River at the Pauchaug Meadow Wildlife Management Area. Flood plain forests are one of the rarest forest types in Massachusetts. Long pants are a must to protect legs from thorns and the like. Children are welcomed; however, all children must be accompanied by an adult friend. Directions: head north on Rts 10 & 63 out of Northfield center- past the boat ramp, immediately after Rt 63 crosses the Wanamaker brook turn left onto narrow dirt road. Note brown wooden sign at entrance. Park in grassy area at the bottom of the road. Meet at Red Apple Farm to join Bill and Al Rose to explore vernal pools, the swamp, and the orchard. Fire, Bugs, and Biodiversity in Pelham. Observe woody plants and find animals in the forest with Michael Geryk and Brian Hawthorne. Learn how natural disturbances influence biodiversity and visit Brian’s study plots in this oak woodland. Michael will help ID trees and shrubs and discuss how insects and diseases shape New England forests. Meet at Tower Road gate across from 135 Packardville Rd in Pelham. Tower Road Gate is about 1.5 mi. from Enfield-Amherst Rd junction. Petersham Moose Alley Walk with John Burk. Explore the unique Black Gum Swamp via the new boardwalk and Old Hemlock Grove at the Harvard Forest Prospect Hill tract. John will discuss wildlife of the area, the threat posed by the hemlock woolly adelgid, and other features. Dress for bugs, all walking will be on easy trails. Meet at the Harvard Forest parking lot, in front of the Fisher Museum on Route 32, 2 1/2 miles south of Route 2 Exit 17, and 3 miles north of Petersham Center. Birds and Flora of Mount Grace in Warwick. Hike up Mount Grace with Scott Maslansky of New England Forestry Foundation to observe and record the birds and plants of the trailside. Meet at Warwick Town Common and bring binoculars and field guides. Explore Gardner’s New Conservation Area. Join Cynthia Wood in this walk by the river. Identify the diversity of trees on this new conservation property and explore the site for other plants and wildlife. Exploring Barre Falls in Hubbardston. Joannie MacPhee will guide us as we identify the diversity of life in this US Army Corps of Engineers property. Meet at parking lot at Barre Falls Dam off Rt. 62 at intersection of Barre Rd. Athol’s Nightjars with Dave Small. Following a short talk on nightjars (birds! ), we will take a trip to see them in the field. Meet at the Center, 100 Main Street in Athol. Birds and Wildlife in Hardwick. Meet expert naturalist Ron Lockwood at Gate 45 on Lyman Rd. in Hardwick to explore the flora and fauna in this protected habitat. Steven’s Swamp in Warwick with Lula Field. Explore a wetland and the hilly landscapes nearby. Bring water, sunblock, hat, insect repellant, hiking boots. Area is fairly wet with hilly trails. Have rubber boots or waders if you want to explore the swamp. Nets and hand lenses for wildflower ID are optional. Meet at the public library in Warwick Center (Rt. 78). Sun. 9 am-Noon and beyond. Join Blair Nikula and the Ode News Team to explore area bogs. Join mushroom and plant expert Noah Siegel on this hike to learn about various mushrooms; key characteristics, habitats, and special features. Meet at the Royalston Town Hall. Explore Mount Grace Land Conservation Trust’s property known for its wildflower and quiet beauty with land protection specialist Chuck Levin. Meet at the Ranger Station at the intersection of Montague Road and Ruggles Pond Road. Paths are unpaved and hilly. Bring a hand lens, binoculars, and field guides. Explore the Corps land at Otter River in Templeton. Join Jeff Phillips of the Corp on a naturalists walk through this protected natural area. Meet at the Little League field off Rt. 68 on Royalston Road opposite Bill’s Used Cars. Rattlesnake Gutter Road in Leverett. Ben Normark, entomology professor at UMASS-Amherst, will lead an exciting walk on plants, bugs, and birds. Meet walk at top of Rattlesnake Gutter Road at the barrier. Bring hand lenses, binoculars, field guides. Montague Wildlife with Dawn Marvin Ward. Meet at Montague Center, end of North St. behind town library (old Town Hall) at Fish and Wildlife Conservation Area to observe the wildlife present in Montague. Adults and children of any age welcome. Paths are unpaved and hilly. Discover the Diverstiy of Flora and Fauna in Winchendon. Join Jane Galat and discover how much wildlife make its home in yards, fields and ponds. Bring field guides, binoculars, and a sense of adventure! Meet at theGalat home at 110 Front Street, Winchendon. Join Diane Dumanoski and Carlo Obligato to tour the Gardner Conservation Area and the surrounding area. Explore the woodlands and wetlands at the upper portion of the Otter River and expect potentially damp conditions. Meet at 246 Airport Road. Meet Brian Stewart, Manager of Wendell State Forest, at forest headquarters. Go to Millers Falls and follow signs to forest. Brian will discuss impact of invasive species on the pond. Explore a Beaver Pond and Trail side Diversity in Warwick. Directions to Meeting Place: from Warwick Center, take Athol Rd out to Bowers Farm intersection. Take a left onto Richmond Road. Take right onto Smith Road (the only right on the road) and park at the dead end. Explore Mount Grace Land Conservation Trust’s property known for its wildflower and quiet beauty with land protection specialist Chuck Levin. Meet at the Ranger Station at the intersection of Montague Road and Ruggles Pond Road. Paths are unpaved and hilly. Bring a hand lens, binoculars, and field guides. Animal Sign and Plant Ecology in Quabbin Woods and Wetlands. Join Nancy Birtwell and Dana MacDonald to record animals and sign and explore how habitat factors influence composition of animal communities and how beavers alter their environment. Dana McDonald, a landscape and plant ecologist from Harvard Forest, will ID interesting plant species and communities encountered on this walk and also share his knowledge of birds and amphibians.. Meet at Quabbin Gate 12 on Rte. 202. Explore the property of the new headquarter of Mount Grace Land Conservation Trust with Sue Cloutier. Varied habitats will be sure to disclose a wide range of flora and fauna. Meet at the Millers River Environmental Center at 100 Main Street, Athol. Join expert naturalists Noah Seigel and Jacob Morris-Seigel on a hike designed to engage young people and families. Meet at the parking lot between the Royalston Town Hall and the Church on the Common. Meet at the corner of Mineral Rd and Millers Falls Rd for a trip led by Conservation Biologist Amy Hinshaw to observe birds, insects, and other wildlife near the river. Meet Ron and Sue Cloutier at Gate 25 at end of S. Main in New Salem. Turn east of 202 opposite N. Salem General Store, go past Town Common, and continue to gate 25 leading into MDC Quabbin. Bring a flashlight and a spirit of adventure! This entry was posted in News and tagged 2002, biodiversity. Bookmark the permalink.